Value added reseller Smart Video and Sensing says it’s proud to have stepped in to financially assist the disabled daughter of a former employee with her sporting ambitions. 14 year old Maddie, who has Spina Bifida, is the daughter of our former engineer Rob Martin and is confined to a wheelchair. She took up the sport of wheelchair basketball only three years ago. 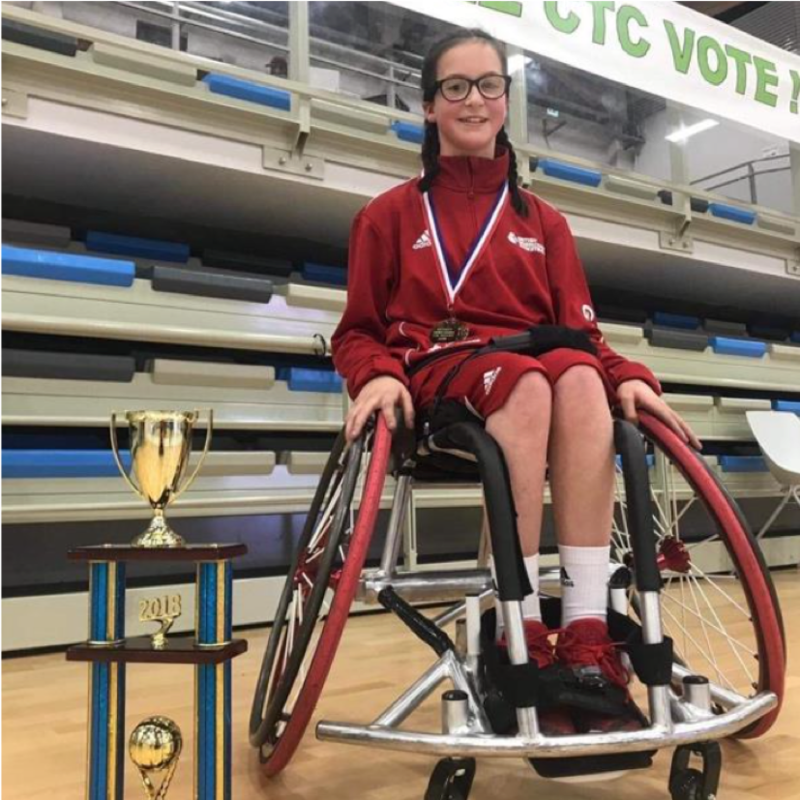 During this time she has so impressed the national and international governing bodies within her sport that, in 2017 she was invited to train with the Team GB squad leading to her subsequent selection this year to represent the Team GB Women’s Wheelchair Basketball squads at under 24 & under 25 level. In November Maddie won her first ever Team GB international gold medal at the 2018 under 24 European Championships held in Bordeaux, France. The team won all five of their games at the Championships with Maddie playing a very impressive, mature and pivotal role in all five games. She has also been selected and represented England South at this years School Games and has won gold for the past 2 years for the South East Region at the UK Regional Championships. Maddie was the only female in the squad and her performances were lauded by all as ‘impressive and pivotal’. Maddie has recently been tipped by experts within the sport, as a potential ‘star of the future’. Excitingly Team GB have set their sights on her as a potential selection at the Tokyo Paralympic Games in 2020. As she has now reached the age of 14, and in addition to all her GB requirements and commitments, she now qualifies and plays in the National League (Div. 1 & Div. 2) and Women’s League (Div. 1 & Div. 2) as well as Junior League and Regional League. This commitment to her sport result in a tremendous cost in terms of her travel and accommodation for attending the numerous training sessions, league games and competitions up and down the country. SVS helped fund this to assist her greatest supporter, her father, who accompanies her to all training and games.